answer to this age old problem, raising the intake manifold off the engine with GrimmSpeed's new Phenolic Intake Manifold to Engine Thermal Spacer. Phenolic spacers have been used for years by many other specialized automotive companies, but this is very new technology to the Hyundai world. True Phenolic material, not cutting board material like others. For every 5 degree reduction in temperature, increases power by 1%. 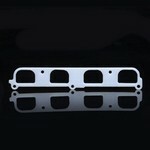 We have installed both with and without OEM Hyundai Gaskets and have had no issues with either way. 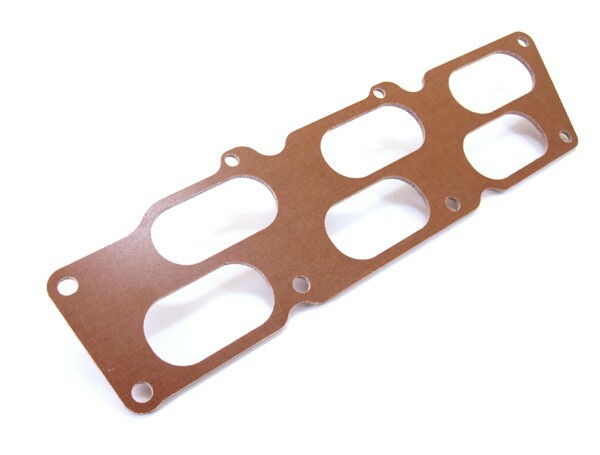 We do recommend using 2 sets of oem gaskets however, one on both sides of the spacer. The intake air in your engine travels through the airbox into the aluminum intake manifold. The air exits the intake manifold and goes directly into the engine. Phenolic Spacers are able to withstand 500+ degrees F. Hyundai engines run at around 200 degrees F, so the Phenolic Spacer is well within its max running temperature. GrimmSpeed™ has tested that it is also safe to run race fuel, E85, and methanol with the Phenolic Spacers. While many avenues exist for boosting the power output of an engine, most approaches focus on ways to increase the volumetric efficiency of the system. Ported heads, larger diameter exhausts, headers, and bigger throttle bodies serve to decrease the resistance to airflow through the engine. The modification shown here, however, does not increase the volume of air flowing through an engine, but rather increases its mass flow. Cold air is more dense than hot air and takes up less space. So if your engine can ingest cooler air, more air can be mixed with more fuel, which gives more power. An additional benefit is that cooler air has a higher resistance to knock, allowing more ignition timing advance - or boost in supercharged applications. Either way, they both equal more power! This is the theory behind cold air intakes, ice on the manifold, and intercoolers. The intake air in EFI engines is drawn through the airflow meter and throttle body, and then into an alloy intake manifold. During its residence in the intake manifold casting, the air charge picks up unwanted heat from the manifold, increasing its volume and lowering the resistance of the engine to knock. When compared to the 0.025 inch steel gasket it replaces, a quarter inch thick phenolic insulator will conduct 200-1000 times less heat! Although the insulation benefits increase with thickness, Â¼ inch (6.4mm) sheet was chosen because this is the thickest that can generally be used with stock mounting studs and bolts. The basic function of the insulators is to reduce intake manifold temperatures, so what better way to test than to record and compare temp data before and after the install? I took the temperature readings from the front centre intake runner using a professional quality CPS T200 temperature sensor with a time constant of the order of 5 seconds. The sensor was mounted on the front middle intake runner for all tests and the vehicle was driven as close to 60 mph (~100 km/h) as traffic would allow. After the driving test, the engine was allowed to idle for a sufficient time to show the maximum temperature. The data is shown as a temperature change above ambient. As you can see, the temperature of the intake manifold reached a steady state of approximately 30 degrees F (17 degrees C) lower - 40 degrees F versus 70 degrees F - with the insulators than without during 60 mph cruising. During the idle test (the higher temps at the right end of the graph), the non-insulated engine was 52 degrees F (29 degrees C) hotter and still climbing when the test was aborted. A non-quantitative comment: I can place my hand on the intake after a drive with the insulators installed, whereas I would have burned myself previously! The intake ran 30 degrees F (17 degrees C) cooler at cruise and at least 50 degrees F (28 degrees C) cooler at idle; According to my dyno plots, I gained up to 7 horsepower and 11 ft-lbs of torque over the major portion of the power curve. My best time at the track was ~0.1 seconds quicker and ~1 mph faster "